It's 1 a.m. when your Uber or Lyft pulls up. The kitchen is closed at the bar you're leaving, so your dreams of getting deep-fried appetizers have been dashed. Now you might be a bit faded, but not faded enough to ask your driver to take you to a drive-through. Most drivers don't like it when drunk people start sloppily munching on fast food in their back seat. Plus there are other riders to consider. 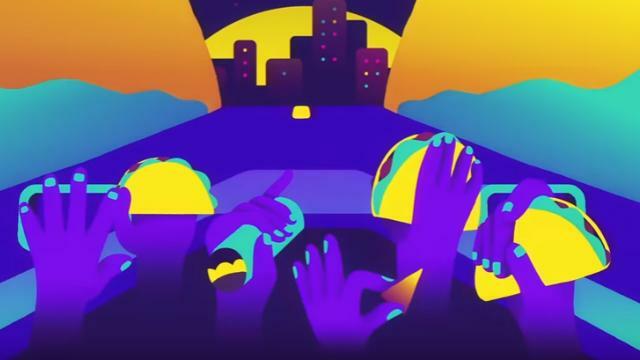 But Lyft's new partnership with Taco Bell won't frown on your late-night munchies -- instead, it celebrates them. "Taco Mode" is a pretty genius marketing strategy from the Tex-Mex chain, as the number of young customers who use ride-sharing apps like Lyft and Uber is constantly increasing. Taco Bell already advertises their locations on the popular navigation app Waze, but this is the first time the restaurant's ever toyed with the idea of "inverse delivery." "I kind of think of this like inverse delivery — like we’re delivering you to Taco Bell. You’re being delivered to the food as opposed to having to get in your own car and drive. "Some people are either afraid to ask or don’t know if they can ask. We’re taking all those questions marks of, ‘Would it be unseemly to ask my Lyft driver to go through the Taco Bell drive-through?’ And now we’re not only going to make it permissible, we’re going to celebrate this behavior," said Marisa Thalberg, chief marketing officer at Taco Bell. Passengers just click "Taco Mode" on their phone between the hours of 9 p.m. and 2 a.m. and nearby drivers' car icons will turn into floating tacos waiting to deliver you to the closest Taco Bell and then your final stop. For now, Taco Mode is only available in the Newport Beach region, but there are plans to extend Taco Mode coverage to the entire SoCal area. Then, contingent upon the success of the app, it'll go nationwide next year. 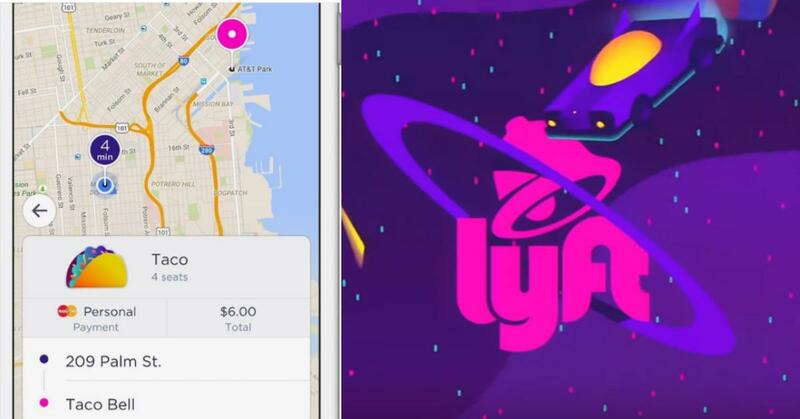 Lyft's head of marketing, Melissa Waters, explained that Lyft isn't getting paid anything by Taco Bell for the deal. The two entities are more concnered with "co-creating a [customer] experience together." "Marketing today is so much about customer experience, not branding and advertising. We’re really evaluating it from a surprise and delight for our consumer bases with a program like this and both meeting in the middle and developing it on both sides." So will you be using your next Lyft to stop by Taco Bell and nab yourself some late night grub?